Every workplace campaign is different and can be shaped around your organization's culture. Setting up and running a campaign is simple and we can help you every step of the way. We can help you set up your campaign so that employees can contribute through payroll deductions, direct account withdrawls or easy-to-use online tools. Many companies double their impact by matching their employees' giving dollar for dollar. 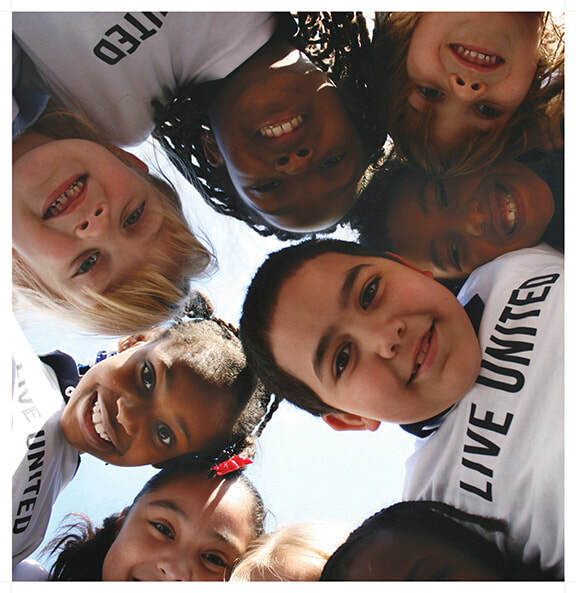 United Way of the Mid-Willamette Valley (United Way) conducts an annual community-wide campaign for the purpose of raising funds, recruiting volunteers, and increasing public involvement. Funds raised through the annual campaign form the Community Impact Fund. Most donors prefer to help others by directing their entire gift to the Community Impact Fund to ensure that their donation is invested where it will have the greatest impact. United Way strives to balance the wishes of our donors and the overall needs of the community, and we recognize that some donors wish to help others by directing all or part of their gift to areas that are of special concern to them. Contributions to organization must be fully tax deductible for the donor (thus excluding political campaigns, political action groups, tuition, dues, sponsorship for fundraising events or other payments for services). Organization must be located or have a substantial operating presence in Oregon (with the exception of other United Ways). Organization must be in compliance with all necessary registration and filing requirements for charitable organizations according to the Internal Revenue Code governing nonprofit entities. Organization must complete an Agency Verification Form. Entities that are considered to be a government or educational institution, regardless of 501(c)(3) status (i.e. : colleges, universities, private/public schools, cities, counties) are not eligible to receive a donor designated gift. Designations that would result in the donor receiving value—such as sponsorships, auction items, or memberships, entrance to events, etc. are not eligible. Donor-designated gifts WILL NOT be subject to an administration fee. United Way will make quarterly payments, based on collection of the donation and internal disbursement procedures. Federal government requires that all nonprofit organizations sign an anti-terrorism verification form annually. Designations will not be honored if an organization does not have a completed United Way Agency Verification Form on file. United Way of the Mid-Willamette Valley reserves the right to refuse designations to any organization. In the event of ineligibility or any other reason for denial of the designation, United Way will contact the donor. If United Way is unable to reach the donor, the designated gift will be redirected to the Community Impact Fund. Printable copy of our Donor Designation Policy (PDF). INTERESTED IN STARTING A WORKPLACE CAMPAIGN?